I was told that we never pray to the saints, and we don’t have statues of them in our churches. Over the years, I’ve been to dozens, perhaps even hundreds, of Lutheran churches. When I studied Lutheran doctrine, I learned that Mom had some of this right, but not all of it. The Augsburg Confession states that we are to “remember the saints so that we may strengthen our faith when we see how they experienced grace and how they were helped by faith.” (AC, Article 21). Confident that I am in good graces with my Mom and my theological heritage, I thought I’d touch on a couple lesser known observances of this month—St. Martin’s Day, November 11, and St. Andrew’s Day, November 30. St. Martin is Martin of Tours, a fourth-century bishop in Gaul (modern France). Martin was from a pagan family and converted to Christianity in his twenties, while he served as a soldier. For a time he tried to continue as a soldier; after some time, Martin resigned from the army. The tradition around him says that he came to believe he could only be “a soldier of Christ.” Martin went on to become a priest, then Bishop of Amiens. He was a staunch defender of the faith, opposing a number of teachings, both Christian and pagan, that buffeted the faithful of his time. As well, he devoted himself to renewal of monastic life; his work later inspired Saint Benedict. His piety and faithfulness was admired long after his death on November 11, 397 A. D. Martin Luther, born in 1483, was baptized on his second day of life, St. Martin’s Day, and given his name in honor of the saint. To this day, congregations will name their parish “Saint Martin”, making it one of the only non-Biblical saints’ names used for such a dedication. The traditions concerning these two men of faith are, by no means, historical facts. We hold on to these traditions because they point to the power of Jesus Christ to change lives. In a conversation I had with another pastor, she shared this observation on the difference between tradition and traditionalism. “‘Tradition’ is the living faith of the dead; ‘traditionalism’ is the dead practice of the living.” I invite you to engage the traditions of this November with fresh eyes of faith. I encourage to enjoy each one with hearts full of gratitude for the Lord’s providing and unfailing mercy. Perhaps there may even be opportunities to create a new tradition of welcome and generosity which those who come after us will see as part of our witness of faith. It is hard to believe that we are rapidly approaching the end of 2016. As usual, St Thomas has helped countless people both locally and globally. As Sr Warden, you become aware of the selfless giving both of time and financial contributions, both large and small of our parishioners that wish to remain anonymous. With all of the bad in the world, what goes on at St. Thomas reaffirms what is good and Christian about the world and about human nature. It is humbling and refreshing to see the amount of people that contact me just because they heard someone may need help financially or spiritually and they just want to help in whatever way possible. There are countless untold stories of people, helping people at St. Thomas that our average parishioner is not aware. I just want to thank you for your kindness and for keeping my faith strong that the work of Christ is alive and well at St. Thomas. My wish is that during this upcoming Holiday season we are all able to find peace and somehow shut out the commercialism that has in many ways taken over. I am looking forward to a joyous and spiritual Holiday season and wishing all of our St. Thomas family the same. Even as the shortest days of the year draw near, the brightness of God’s promises shine during Advent and burst into fullness at our Christmas celebrations. We want to encourage all St. Thomas members and friends to be part for these events. Please invite family, friends, and neighbors to join us in our worship services during these holy and joyous seasons. Advent begins on Sunday, November 27. Except where noted, our worship services are scheduled for Saturday evenings at 5:30 p.m. and Sunday mornings at 8:00 a.m. and 10:30 a.m.
Saturday, December 10, 7:00 p.m. This beautiful service employs the rich tradition of choral voices in the Anglican tradition. Note: There will be no 5:30 p.m. chapel service on this Saturday. Saturday. December 17, 4:30 p.m.
We share the joy of Katie Cline and Chris Schmid as they join their lives as husband and wife. 5:30 p.m. +HEAR THE STORY! SEE THE GLORY! We share the Christmas story in a service crafted for children, youth, and families at this service of Holy Communion. This traditional service will be filled with song and special music, with the traditional candlelit singing of “Silent Night”. ++ Festival Service of Holy Communion 10:00 a.m.
We join the praises of the newborn Savior with traditional carols on Christmas morning. Note: there will be no 8 a.m. service on Dec. 25. ++ Jesus receives his name, which we proclaim as the name above all names, and enters into the covenant of God’s people, Israel, at the temple. 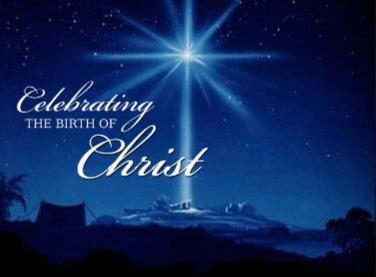 This festival day, part of the Christmas cycle, points to God’s faithfulness to all generations. For centuries, Christian congregations have met together, and no matter what the scriptures or lessons were for the day, there were elements of worship that are called the Ordinary, which means we always, or “ordinarily”, do them. A thousand years ago, the Ordinary consisted of five pieces of scripture that the early church fathers thought would help the celebrants and congregation to stay focused and more fully participate in worship. Because of their origin, the words are translations of a mixture of Latin and Greek texts. The Gloria, which is included in most Sunday services, takes its words from Scripture, as the Angels sing “Glory be to God the Father, Son, Holy Ghost” or “Glory to God in the Highest, and on Earth, Peace to all His People”. Sometimes, like we are doing right now, the Gloria is replaced with a more general Hymn of Praise, but usually the same words of praise to Father, Son, and Holy Spirit are found somewhere in the hymn text. The Kyrie, or “Lord Have Mercy” is especially included in the Episcopal liturgy on days of penitence, and we often say or sing these words in Advent and Lent. At St. Thomas, we don’t include the whole setting in every service, but it can often be found in the words used to confess our sins before taking Communion. The Credo, or Creed is something we include in each service before the Prayers of the People, either the Apostle’s or Nicene version. Our current method of worship is to say these words, but sometimes they are sung, and VERY effectively, during special services. The Sanctus is again, taken from the scriptural words of Man and Angels. With it, we directly address God and proclaim His majesty together with the angels. Every time we say or sing the Sanctus we join the angels and saints in their song, hoping to sing a perfect hymn of praise to a perfect and holy God. It is our intent at St. Thomas to include these by singing or saying, so that we are joined with Christians everywhere, past, present, and future. Because of this, Music Directors often use the most familiar settings they can, and many composers of church music will write a group of settings. We sometimes will choose, say, the Schubert settings, and I have often chose those at Christmas as the most familiar. 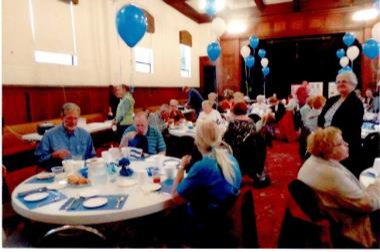 Saturday, October 22 was our annual Sundown Soup Supper fund-raiser. This was the first time to hold one in Akron, and visiting and having dinner in this grand, old church was an extraordinary experience. 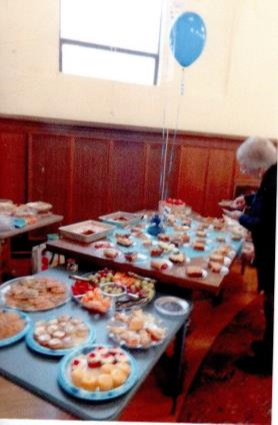 We were very happy with the turnout – the tables were all filled and everyone had a great time. The 17 soups were all delicious, and the desserts were something to die for! We have included some photos of this very special project. We don’t know yet what the profit was for this event, but we will keep you posted. Many thanks to our friends at St. Thomas who attended the supper, made money donations or gave us desserts and soups. It is grand to know that we can always count on you. Our next meeting will be Friday, November 18 at 7:00 pm at St. Matthew’s, Brecksville. Stay tuned for information on our 2016-17 holiday event. 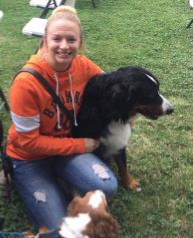 On October 2nd, we welcomed 30 pets with 27 of their humans. 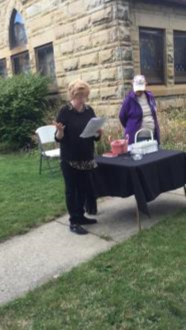 The day was iffy for an outdoor service. We prayed & had faith the sun would shine at 3:00. Our prayers were answered with a yes! The sun came out & we rejoiced. Thank you everyone who carried their chair outdoors before leaving coffee hour. Which proves we are all the body of Christ, our Lord and Savior. Pastor Connor gave thanks that no one brought a snake to be blessed. 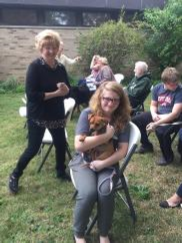 We had dogs galore & even photographs to be blessed of cats and horses. Thank you to Pastor Connor, Rosalie Ferline, Dolly Doyle, Carole Pozek, Sue Griffith, and Becca Bretz for sharing your gift of love to be a part of the service. 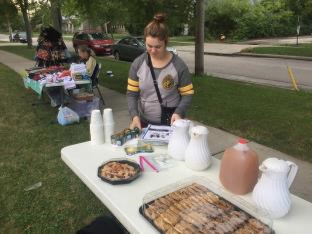 A special shout out to Bella Brown, for sharing her gift of love, young legs to run back & forth, beautiful smile, serving refreshments & greeting our guests. Our St. Thomas Prayer Group meets every Monday night at 7:00 in the church office. We share prayer requests for the church, for family, friends and any others that are on our hearts. We then generally use the Anglican Rosary during our prayer time to help us focus on worship and praise as well as lifting up our prayer requests to the Lord. We also have a time of Bible study to help us learn more about how God’s Word applies to our prayer lives and to life in general. We are currently doing a fascinating study on the book of Revelation. You may have many questions on this book. Here is an opportunity to try to learn what God might be saying to us through this challenging book. We would love to have you join us for our meetings. We believe that for a church to be everything God wants it to be, it must have a strong prayer ministry. We are grateful to join with the Daughters of the King in that prayer ministry at St. Thomas. If you are passionate about the power of prayer in the life of our parish, its members, and the community around us, please join with us on Monday nights. Feel free to contact the church office at 440-234-5241 or Clint Anderson at ahs64clint@gmail.com if you have questions or requests for prayer. God bless! 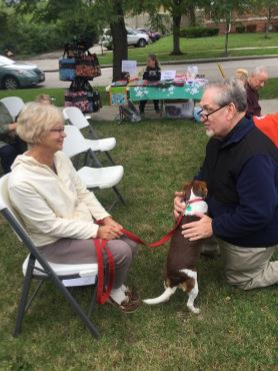 The Outreach Committee has been very busy lately and we really appreciate those St. Thomas parishioners who have assisted at our events, and made very significant donations to our efforts. There are so many people to thank that I am reticent to name them for fear of making omissions. However, here are some of the outreach projects on which parishioners are actively participating (some are independent parishioner-run groups and others are Outreach Committee programs): Food Bank distribution (first Thursday of the month, through November), Veterans’ Meet and Greet, Berea Cares, pill bottle collection, STAR, Los Amigos Episcopales, Duffle Bag project (December 4), Community Meal, Haiti relief, and we are hoping to launch a “Stewardship of the Planet” program (and there is even more). Are you an outreach participant? Please bring and share your experience and ideas to the next Outreach Committee meeting on Wednesday, November 8 at 7:00 pm. We need YOU! Thanks again. Mark your calendar now for St. Thomas’ Tea on Saturday, February 25th, 2017. We will again do two seatings 11:00 a.m. and 3:00 p.m. Please be thinking if you are able to host a table. We are limiting our tables this year to a max of 8 Ladies. We also need servers men and women. Many areas for service. A new committee is being formed and we need your help. The idea is to bring awareness to the Parish, and the wider area, about issues of environmental pollution to water, air and land that effect our collective health and well-being. Everyone can be our eyes and ears for issues of interest. Please call Don MacIntosh at 216-600-9546 or email me at d_macintoshjr@yahoo.com with interesting issues. 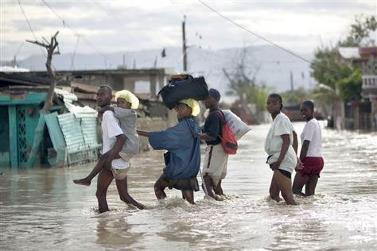 What would you do if you, and 900,000 other Haitians had still been living in shacks on the beaches in Haiti since the earthquake in 2010, when suddenly you are all overwhelmed by the enormous 2016 hurricane? Now you do not even have a shack and you are lucky if you can locate your entire family (over 400 people have died and thousands are wounded). With this backdrop, millions of dollars worth of international aid is pouring into harbors and airports in Haiti, but in order to get the food, clothing, housing materials, etc. to the decimated towns and villages, they need charitable organizations (like ERD) to provide this transportation and distribution service. 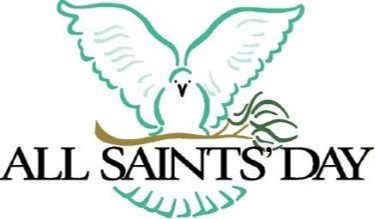 St. Thomas Church has received a donation of $10,000 from a parishioner (who has received a once-in-a-lifetime windfall) to be used as a matching fund for your donation. ERD is already on site and working in Haiti. Please help with a gift (which will be matched). November 13 is the last day of this worthy humanitarian drive. Please write your check out to St. Thomas Church with the memo designation “Haiti Hurricane Relief”. Donation forms are hanging on the bulletin board in the main hall of the church. All funds will be sent to Episcopal Relief and Development with this same designation. Thank you. In a time in which most mainline churches are in rapid decline, how do we find ways to bring about church growth at St. Thomas? We recently formed a Church-Growth Committee at St. Thomas to explore and evaluate ways to share the good news of God’s love in Christ more effectively to our local communities and to bring growth, not just numerically, but spiritually to our parish. 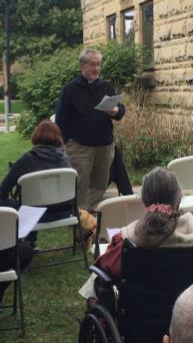 At our November 1 meeting, the Rev. Brad Purdom from the Diocese of Ohio will join with us for an open conversation on church growth, the challenges we face, and ways in which we can meet those challenges. We are most grateful to Fr. Purdom for his willingness to listen and to share with us his insights and those of the Diocese on church growth. If you are passionate about St. Thomas and excited about our future, we would love to have you join with us on the Growth Committee. We meet the first Tuesday of each month at 7:00 p.m. We will be meeting on November 1, December 6, and January 3. If you have any questions, feel free to contact Clint Anderson. Please pray that God will bless our work! 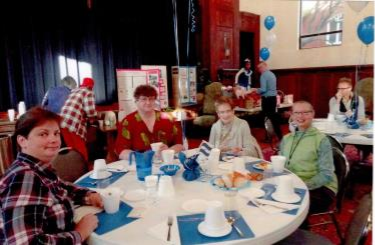 The Berea Community Meal is an ecumenical dinner held at St. Paul’s Lutheran Church on Bagley Road on the last Wednesday of every month at 6:00 pm. Several St. Thomas members assist with this venture every month, but each participating church also gets an opportunity to be in charge of one month’s dinner. Wednesday, November 30, is St. Thomas night and we will be providing about 10 workers, and we will also need to supply about 15 pies for dessert. Please see the sign-up sheets on the office window, as we are once again asking parishioners to help us. Fortunately, this year the event is the Wednesday after Thanksgiving, not the evening before Thanksgiving (a difficult schedule we have dealt with in previous years). The dinner is open to anyone, so please join us for a lovely event. Pies can be left at the St. Thomas kitchen on November 30m from 9:00 am till noon. If this is not an acceptable time for you, please call Ruth Ihde, and we can make other arrangements. Thank you in advance. Bethlehem is a fairly small place. It’s more of a small city than a village. It’s compact, probably a bit smaller than Berea or Brook Park. At its center are Manger Square and the Church of the Nativity. The site has had a church on it from at least the second century of the Christian era. Over the centuries, it has changed hands between various religious orders; buildings have been taken down and rebuilt. The current building contains elements from throughout this history. The Orthodox community holds the church, while the Roman Catholic community shares in its care. What I did not expect was the elaborate beauty of the place. I was looking for a simple stable filled with straw and a donkey. I was probably imagining myself, along with my younger brothers, in bathrobes and towels wrapped around our heads, shepherds in our congregation’s annual Christmas pageant. The ornate appointments of Orthodox piety did not fit with my preconceived childhood imaginings about this sacred space. There are many images of Christmas. Newspapers, magazines, televisions, billboards, and shop windows bombard us with an avalanche of commercial and emotional images designed to get us into the “holiday spirit” of spending. Government officials, economic experts, and shareholders of major retailers are breathlessly waiting to see if those messages have been successful. Prayers are raised on both Main Street and Wall Street that cash registers will be ringing (or beeping) along with Christmas bells. Perhaps the power of the Gospel rests in its power to overcome our expectations, even pious and semi-Biblical ones like mine. Maybe we need to be reminded that God is always sending Jesus to break into our lives by freeing us from our expectations of how the world should work. When we begin to wonder whether our lives are making a difference at all, we are reminded with Mary of the Lord’s favor. With her, we may find it almost impossible to believe, until the Holy Spirit opens our hearts to joy and obedience. Like Bethlehem’s shepherds, we feel overwhelmed by the inbreaking of God’s light. In a world too often darkened by injustice, hatred, war, and violence, it is an immeasurable great joy to know God promises peace to all people. This is a promise beyond any of our expectations. That God’s love would take on ‘flesh and blood’ in the person of Jesus is the gift we would never have imagined. My Christmas wish for all of you is this—may the joy of Jesus catch you completely off guard this year. Leave room in your heart for all of the surprises of faith and discipleship into which God is calling you. 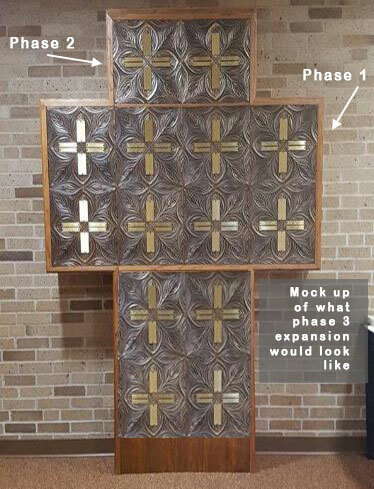 A few niches are still available for the Phase 3 expansion of the Columbarium. They are available on a first come, first served basis. The first phase (32 niches) was completed in 1993 and the second phase (8 niches) was completed in 2000. Phase 3 will begin soon. If you are interested in more information about obtaining one of these niches, please contact the church office at 440-234-5241. Our St. Thomas Socrates Café is now in our fourth year of gathering together on the second and fourth Tuesdays of each month for great discussions on philosophy and life. A couple of recent topics for conversation have been “Change is always sweet. True or false?”; and “What is the self? What does it mean to know yourself?” We never have any problems discussing questions like these for almost an hour and a half, with people openly sharing their ideas and insights. 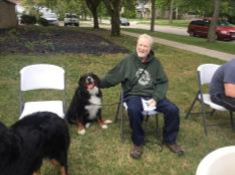 We have recently had 15-16 people at each of our meetings. The meetings are interesting, educational, and fun! 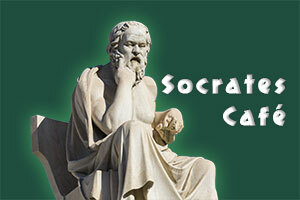 No advance preparation is needed for Socrates Café meetings. You don’t need to consider yourself to be an expert in philosophy. Just bring an open mind and a desire to listen to others, along with sharing your own thoughts and experiences. We would love to have you join us! Please contact Clint Anderson or the church office if you have any questions. On the last Friday of each month, our Outreach Committee hosts a Veterans’ Meet and Greet, including a light lunch, a time of fellowship, and often a speaker or a presentation on a topic relevant to veterans. We have now been meeting for more than six months, and we see this as a long-term ministry to connect with local veterans, to let them know how much we appreciate their service to our country. 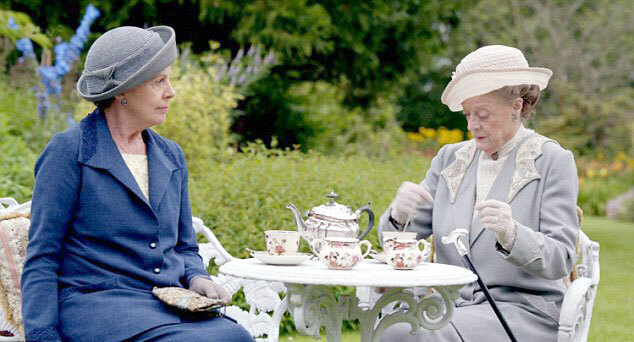 We have good fellowship and opportunities to get to know one another. At our most recent meetings, Pastor A.J. Thompson of the House of Prayer Ministries in Cleveland shared his experience in military service, and Jim Slater shared his experience on a Veterans’ Honor Flight. 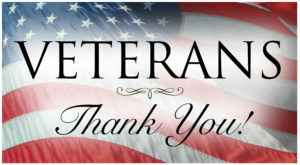 At our November meeting, the speakers will be Terry Sansbury and Rick Mullins from the local Disabled American Veterans. Our upcoming lunch meetings will be on November 18 (changed to 3rd Friday because of Thanksgiving). December 30, and January 27. If you are a veteran, you are welcome to join us. If you know any veterans, please invite them. Spouses are warmly welcomed as well. There is a sign-up sheet on the office window. Each month we need help with providing food, drinks, and desserts for the lunches, as well as help in set-up, serving, and clean-up, and just relating with our friends, If you can help, please sign up on the office window, If you have any questions, please feel free to contact the church office, Ruth Ihde, or Clint Anderson. Thanks! Did you know that when you purchase gift cards through our Shop with Scrip program, St. Thomas earns an average of 5%? With the Christmas season approaching, you can do all your shopping quickly and easily without wasting time or gas! For the holiday season, many retailers are offering small denomination cards which make a great gift for the special people in your life. Cards are available after services or call the office at 440-234-5241 to place an order. You can also purchase, reload and manage your gift cards directly from the Shop with Scrip website at www.shopwithscrip.com. Articles for the February/March 2017 issue of the Wayfarer are due by January 20, 2017. Please forward articles to the church e-mail address at: stec1@sbcglobal.net. The Daughters of the King is an Episcopal order dedicated to prayer and service. If there is something in particular you’d like us to pray for, please let us know by emailing the office or DOK president, Elaine Willis directly at ewillis23@wowway.com. Our chapter will meet after the 10:30 service on Sunday, November 13, December 4 and January 8. Starting in February we will meet at that time on the first Sunday of the month. If you’re interested in finding more about our chapter, please feel free to join us at a meeting! 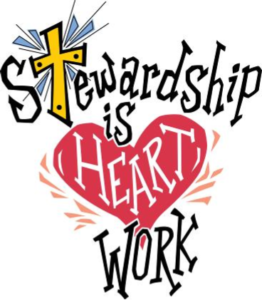 The 2017 Stewardship Campaign will begin the weekend of November 5 & 6 and run through November 19 & 20. Stewardship packets will be available for pick up beginning November 5. We ask that you please pick up your packet on this weekend. Please pray for St. Thomas! As 2017 approaches, your congregational leaders have begun to shape the financial ‘ministry plan’ for St. Thomas Church. I have deliberately used the term ‘ministry plan’ rather than ‘budget’ for a reason. Most of us think of a budget as a tool to constrain us from impulsive or thoughtless spending, or a method to insure that we meet our regular obligations and perhaps set aside funds for larger projects. The ministry plan being shaped is centered on the essentials of our vision of ministry—worship, learning, service, and witness. We will strive to make sure the Gospel is proclaimed, the sacraments shared, those in need are lifted up, and God’s claim on the world for justice and peace is heard. This ministry plan is an expression of our confidence in God’s blessing in our lives and for our mission and ministry as a parish. We intend to move boldly ahead in all areas of ministry. We plan to fully uphold our partnerships in ministry. We will continue to share in our ministries through the Diocese of Ohio and the Episcopal Church globally and nationally. These include global missionaries, hunger relief and development projects, disaster relief, seminaries and colleges of the church, social services for the aged and youth, chaplains for the armed services, hospitals, and prisons. We will build on our partnerships with local ministries like Amigos Episcopales and Church Street Ministries. Simply put, it will take your financial giving to make this happen. At the services on November 19 and 20, we ask you to make your commitment to this effort as the culmination of our 2017 Stewardship Emphasis. You will shortly receive your INVITATION TO BOLDNESS mailing. I ask you to prayerfully consider the part you will take in helping us accomplish all we want to do for Christ’s ministry in the coming year. It is vitally important that every member share in this effort. I look forward to seeing each and every one of you as we entrust our plan to God’s blessing. Are you ready to travel back to the year 1478 and have dinner in a Medieval Hall with other guests? As we strive to be authentic with the food being served (cookbooks from 1478 were rare but we have copies) and with some delightful youngsters as servers and our favorite chef Bob Blomquist in the kitchen and Randy Molmen (he’s ours in the choir) doing his fabulous desserts. Our own John Staub joins us in the kitchen to help prepare up to 13 different dishes for your feast. And it is a feast! However, we do not give you a fork because they hadn’t been invented in 1478 and since nobody advertised that they had yet discovered the new world (America) we cannot use any foodstuffs from there including corn, potatoes, chocolate or tomatoes; but you will be surprised at what foods were common back in the old days. You may bring your own wine or indulge in our spiced fruit drink. Many of you still have left your coat of arms with us and they will decorate the hall. No, since Edison has not been alive to discover electric light bulbs we shall rely again on candles (cheating just a bit with LED’s). Tickets make an ideal gift for friends or family members. Tickets will be available soon through the church office for $29 per person. Call 440-234-5241 and get on the list. We are limited by the size of the Great Hall of the Castle, so call early. We dress in costumes either of your choice or pick one from our collection. We do ask that you leave your sword at home as we are a castle of peace. Armor, however, is allowed. and many more! The concert is free with a free-will offering being accepted. Many, many thanks to all the folks who have joined us for these special concerts throughout the summer and fall. It has been a wonderful experience and we truly appreciate the positive response to these events. 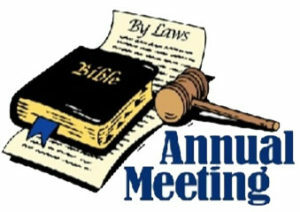 The Annual Meeting of the Parish of St. Thomas will be held on Sunday, January 15, 2017, We will have a potluck luncheon following the 10:30 am service then begin the Annual Meeting. Please note the 10:30 am service will be the only service on Sunday, January 15. There WILL BE a 5:30 pm Contemporary service on Saturday, January 14. All members of the parish are encouraged to attend. Please bring a dish to share, an open heart and a prayerful mind. A sign-up sheet will be posted in late December. All committee leaders and ministry heads are asked to submit their annual report to the parish administrator no later than Tuesday, January 10, 2017. Please be considerate of this deadline, as there is a lot of work to be done in preparing the Annual Meeting report. Now through December 4, we are collecting blankets for the impoverished and homeless. These blankets are very much needed during the upcoming cold winter months. Please note this this collection is in addition to the Duffle bag project. New or excellent condition blankets can be put in the marked donation box near the entry way of the church. Twin size blankets are especially needed. Contributions should be turned in as soon as possible, but by no later than Sunday, December 4th and should be new or in excellent condition. Please look for the donation bins, which will be set out in early November. This is a wonderful opportunity for us to give some much-appreciated, practical help to those in need! Please see the flyer in this issue of Wayfarer with the list of items needed for this project. I’m the new guy at St. Luke’s who took over for Heather Wood (Dylan L. Sellers, Youth Outreach Worker) and I’m really excited to be sending you this email. As Christmas gets closer I hope you are still all with us this year!. It would be hard to express the huge impression this program had on me last year as a newcomer. The extreme generosity and how the body of believers worked together to provide things for people who really need them. We see the backpacks and hats and gloves and things you give all year long and they make such a big difference in people’s lives, especially now with the economy the way it is. Through the months of November and December, we are collecting new or gently worn coats to donate to St. Luke’s West Side Shared Ministries in addition to the duffle bags and blankets we are also collecting. Please make sure there are no broken zippers, torn linings or holes. 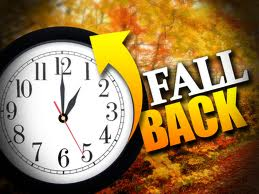 Daylight-savings Time ends at 2:00 am on Sunday, November 6, 2016. Don’t forget to turn your clocks back 1 hour. It’s also time to check your fire extinguishers, test and change the batteries in your smoke detectors and carbon monoxide detectors. Stay safe! St. Thomas is in need of help clearing snow from the walkways this winter. Interested candidates must be available before 7:00 am weekdays, before services on weekends and during the week when meetings/special services are scheduled. We will compensate for services. Please contact Ginny, in the church office, at 440-234-5241 for more information. We are now taking orders for the Christmas poinsettias that will enhance our church during the Christmas season. It is a perfect time to remember parents and family members or to honor special people in your life with your donation. Forms are on the literature table in the entrance hall. The cost is $25. The deadline for placing your poinsettia order is December 19. Please contact Sonia Miller or the church office if you have any questions. We will once again have the Book of Remembrance out in the front of the Columbarium in the main church. The book will remain out through the month of November. Please list your departed loved ones and we will hold them in prayer. Rest eternal grant to them O Lord, and let light perpetual shine upon them: May their souls and the souls of all the departed, through the mercy of God, rest in peace, and may they rise in glory. Amen.